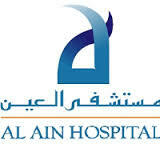 Al Ain hospital is one of the best hospital sin UAE and the main comprehensive healthcare facility in Al Ain. It has a specialised psychiatry department catering to both kids and adults. The highly efficient team consists of doctors , psychologists and therapists .